Homepage of our new online collection website. Image: ANMM. From journals of harrowing sea journeys to puppets used to help post-WWII immigrants learn a new language and culture, navy uniforms and thousands of historical photos, the stories of our collection are now online for you to explore. Each object has its own page and description, and many have images. You can share your thoughts, feelings and expertise by commenting on objects and uploading additional relevant content, such as photographs, from wherever you are in the world. Your contributions will enhance the information we have on the collection and help others to discover it via a simple Google search. Each collection item has a detailed page to explore. Image: ANMM. Another benefit of the new website is the application programming interface (API) or ‘discovery layer’ that comes with it. The discovery layer will allow the museum, and interested third parties, to easily integrate collection content into new, and hopefully unexpected, digital publications that contextualise the collection and expand the museum’s reach and reputation. If you’d like access to our API please visit http://collections.anmm.gov.au/api. We’re digitising our books, journals and photo albums so you can explore them online. Image: ANMM. The project has been a large-scale collaboration across of several of the museum’s teams. The Digital Outreach team provided the online communication and technical expertise, while Registration undertook data mapping, testing and configuration, large scale data manipulation and clean up as well as ongoing administration of the database. Photography and Curatorial teams helped with capturing high-resolution images and expanding the historical background of our collection items. We’re using eMuseum, an industry standard product developed by Gallery Systems – a leader in collections software and services whose clients include some of the world’s most prestigious museums, such as The J Paul Getty Museum and The Metropolitan Museum of Art. With the museum’s collection of 140,000 objects (and still growing!) the project is very much a work in progress. The museum’s specialist photographers are capturing high-resolution images of key objects so you can view them in more detail online, while the registration and curatorial teams are also enhancing the information about specific collection objects. 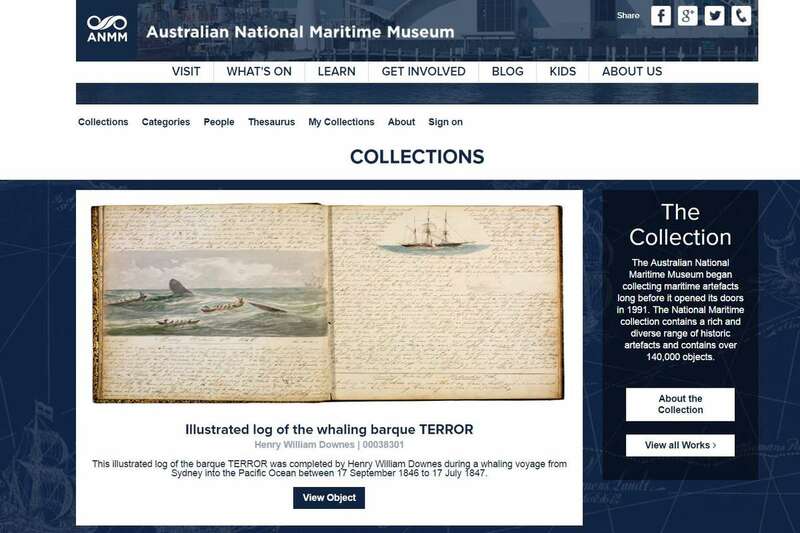 To check out the collection, just type collections.anmm.gov.au into your web browser and search or browse the online database. 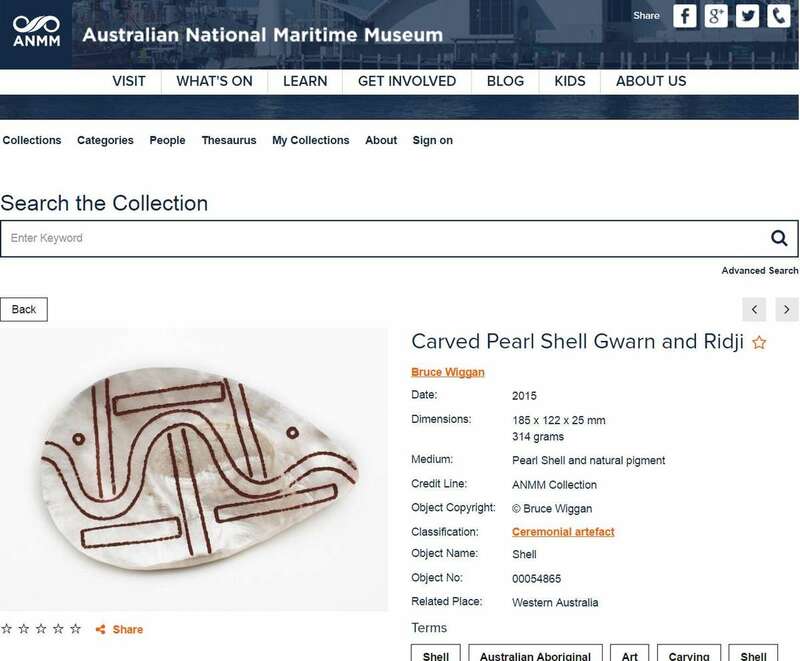 We’d love to know your thoughts on the online collection, just email web@anmm.gov.au. — Richella King, Digital Outreach Manager. Follow us on Twitter and Instagram this month as we celebrate the museum’s 25th anniversary with 25 highlights from our collection.